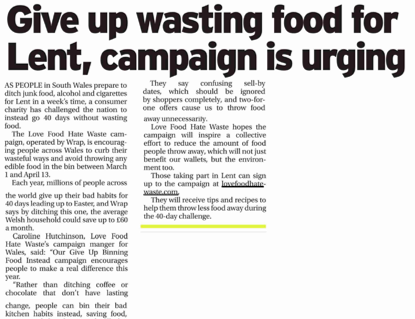 Publish Lab’s challenge from client, Love Food Hate Waste, was to help raise awareness of the UK’s food waste issue. 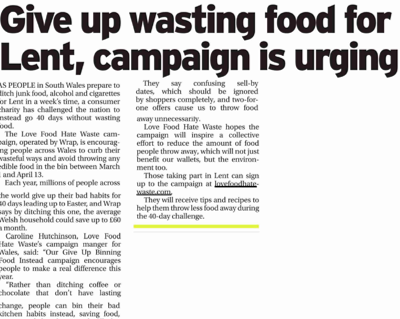 The aim was to help reduce the staggering 7m tonnes of food waste we throw out from our homes every year, the majority of which could have been eaten, shared and enjoyed. 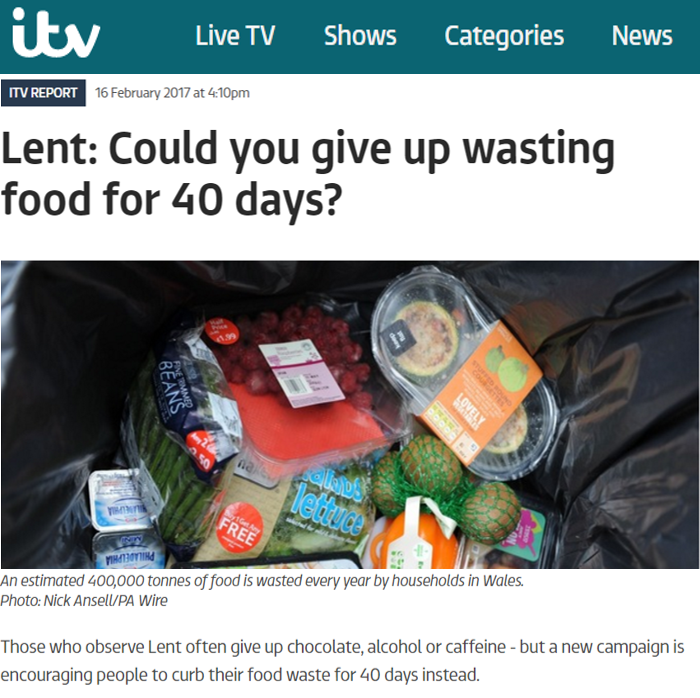 Designed and led the national ‘Give Up Binning Food Instead’ PR campaign for Love Food Hate Waste, in a bid to encourage people to give up food waste for Lent rather than just a food item like wine or chocolate. 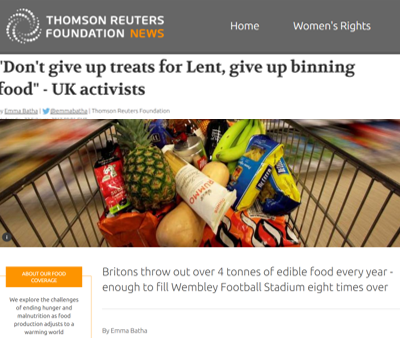 Supported by a strong and engaging digital presence, the PR activity was a driving force for organic publicity incorporating traditional media relations, Facebook Live, short videos, and strategic collaborations with top ranking bloggers, vloggers and TV personalities. The campaign was built around six core themes, with fresh content released weekly throughout Lent. 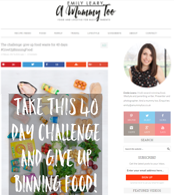 See below for some press coverage, and to view the weekly videos a top foodie and lifestyle influencer, Sasha Wilkins, aka Liberty London Girl. 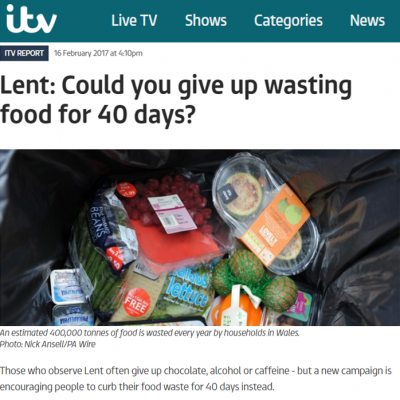 This is what a month of household food waste looks like!